The dashboard of the Tata Nexon is designed keeping practicality and ease-of-use in mind. The steering wheel feels good to hold and comes with controls for audio and phone. The centre console gets a floating 6.5-inch HD touchscreen infotainment system with Apple CarPlay and Android Auto. You get other features like climate control, 8-speakers for the Harman Sound System, voice commands, 2 airbags and rear AC vents. A lot of parts on the inside have been borrowed from other Tata cars. The Nexon also gets a wearable key which can be useful when you go for jogs. 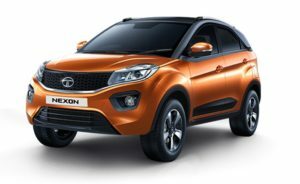 The Tata Nexon comes both in petrol and diesel. It has a 1.2-litre turbo petrol that delivers about 108bhp of power and 180Nm of maximum torque. The Tata Tiago also uses the same engine, but it gets a turbocharger in the Nexon, for better performance. The power output is also higher. It comes mated to a 6speed manual transmission. This is something unique in this segment for a petrol vehicle. The other engine is a 1.5-litre diesel engine that churns out about 108bhp of power and it comes with best-in-class torque of 260Nm. 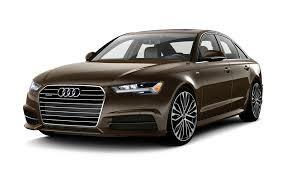 The diesel engine is the most powerful one in the segment and this also comes with a 6speed manual transmission. This engine is a four-cylinder one, unlike the three-cylinder one found on the Tiago. Both engines get multiple driving modes which are Eco, City and Sport. The Nexon is a front-wheel drive SUV and it does not have an AWD system.The Nexon delivers good fuel efficiency. As the petrol is similar to the Tata Tiago, it should return close to 13km/l in the city and about 17km/l on the highway. At the same time, the diesel engine will return about 17km/l in the city and 20km/l on the highway at least. The Nexon gets McPherson struts up front and a twist beam setup at the rear. The ride is a nice compromise between hard and soft and because there’s not much body roll, it feels plush on the inside. 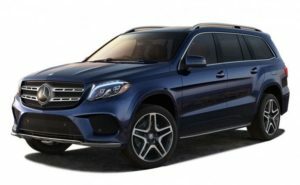 It deals with potholes in the manner of bigger SUVs. So all you feel inside is a toned down thud and a little vertical movement that settles down pretty quick. The diesel Nexon is 68kg heavier than the petrol one, and the added weight results in keeping the cabin slightly more stable when going over a rough patch or at high speeds.The diesel Nexon pays the price of the added weight when it comes to handling, but not by a big margin. The difference lies in the fact that the diesel Nexon tends to understeer slightly when you get into a turn while the petrol Nexon feels sharper in comparison. Overall, the Nexon feels quite confident on the road, and stability at highway speeds is not a concern either.With discs at the front and drums at the rear, it feels confident when braking hard. But the brakes don’t offer instant bite, thus requiring you to vary the braking pressure according to the situation. It has almost become a norm to launch a vehicle in both petrol and diesel variants. At least when it comes to the Indian automobile market, one cannot think of launching a high priced car without enough fuel economy to please the customers. Not just India, most of the global developing nations face the concern of fuel. And it has gone beyond mere fuel economy, it is now a matter of accessibility too. One cannot find enough fuel around the world hence the additional avenues such as electric and hybrid car technologies are at an all time high. So when a big manufacturer like BMW enters Indian market, they take note of it too. The BMW 5 Series is one such class that is offered in both petrol and diesel variants in India. 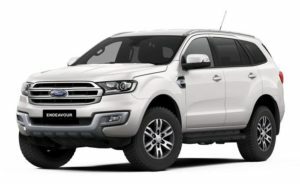 The vehicle is impressive due to the unending list of offerings that have been offered in terms of exterior specifications, interior features, a range of engine performances and most importantly different fuel options. However India has only diesel variants at the moment. So this can be seen as an expansion strategy by BMW where it is specifically targeting fuel economy vehicles. BMW has made sure the new 5’s cabin exudes luxury and is packed with new-gen gizmos. The dashboard and centre console design are clearly a reflection of the 7 Series interior.Seating on the electronically adjustable driver seat is low. Yet, frontal visibility is good. Though there isn’t adjustable lumbar support, the seats are large and accommodating. These are draped in Dakota leather and not Nappa like in the sport trim. Nonetheless, they don’t fall short in providing comfort and look elegant. Ergonomics are good too with all the controls remaining within the reach of the driver’s arm. The seats are nicely cushioned in the second row as well. For just two occupants, the second row has good knee room and thigh support. However, even if a third person can fit in, the other two might be a little uncomfortable. Nonetheless, the generous headroom and the panoramic sunroof adds much to the sense of space. Also, the 520 litres boot space is generous enough to accommodate large bags, despite having a space-saver neatly tucked underneath. 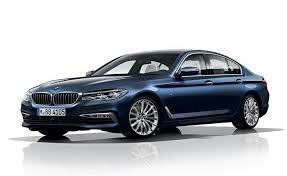 Several features from the flagship car have trickled down to the 5 Series. 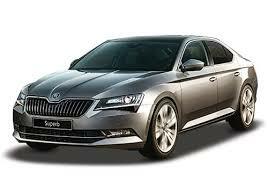 These include the new gesture control for the infotainment system and remote parking function with key fob. Both of these are an eye-catching novelty, but it is unclear how many buyers will actually make use of these functions. Preset gestures can control the high-resolution 10.25 inch screen. However, it’s easier when used via the iDrive controller or the remote control. Furthermore, this display is connected to a 600 Watt, 16-speaker Harmon Kardon system satisfying all your infotainment needs. Even if this trim misses the heads-up display, it gets a new wireless phone charging tray and the very practical 360-degree cameras and sensors. They give a nice all-round view of such a big car and add to the convenience while parking. On the safety front too, the 5 Series is loaded to the brim. 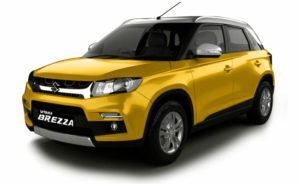 The safety features include six airbags, ABS with brake assist and dynamic braking lights. Additionally, there’s park distance control, traction control, stability control and cornering brake control too. All of this makes sure you are cocooned safely in the luxury sedan. The BMW 5 Series in the 530d guise is a powerful and fun car to drive. When I first checked out the specs, I was not too impressed and expected the 530d to be more of a smooth, decently efficient and comfortable kilometre muncher…that is, until the point that I pressed the throttle for the first time. It gives you the jollies, courtesy a 3.0-litre six-cylinder diesel engine that produces 258bhp and a whopping 500Nm of torque and boy did I get mine! The 530d gets massive 275/45 R18 rear tyres but still struggles to grip the instant you floor the throttle but when it does, you shoot off the mark like a racing greyhound unleashed. The German automaker’s twin scroll turbo system allows for linear power delivery right from low revs. The engine is mated to a ZF eight-speed automatic gearbox which sends power to the rear wheels.There are four driving modes offered with the 5 Series- comfort, ECO PRO, Sport and Sport+ of which the last switches off the ESP a.k.a dynamic stability control giving you access to the car in its full mechanical madness. Oh be warned! In a BMW when you switch of the electronic aids, they stay off completely. The standard mode is the comfort setting but to make the car appealing to the eco brigade, BMW has provided the ECO PRO which is basically a combination of a start-stop system and regenerative braking. This mode also runs the car in a more efficient manner by reducing the amount of power at various levels of throttle input as well as performs upshifts at a lower RPM. This version has been fitted with paddle shifters to add to the sporty excitement but you can also do rally style shifts using the rather phallic-looking gear lever on the centre console. BMW says the 530d M Sport will do 0-100kmph in 5.8 seconds but in more real world conditions we expect this number to be closer to seven seconds and like all BMWs sold in India it is limited to a top speed of 250kmph. It almost seems obvious that since most owners will be chauffeured, we expect that the car will be driven either in Comfort or ECO PRO mode for a majority of the kilometres in its lifetime.While the BMW has a good set of numbers to back it up in terms of performance, it is realistically the second car in the list. The Jaguar XF-S has a 3.0-litre diesel V6 engine that produces 275bhp and 600Nm of torque and is a far more powerful vehicle when it comes down to outright performance. BMW cars are known for handling and the 5-Series is no different. It feels eager to turn and the steering is crisp, rich with feedback. The 520d is a whole lot of fun behind the wheel, always putting a smile on your face as you steer into the next corner with enthusiasm. If anything, it only feels big, due to its large dimensions but once you are used to it, you can push the car around the twisties, rewarding yourself with a pat on the back at the end of the day for doing good entry and exit speeds around corners. Where the 5-Series does falter is the ride quality. Although it’s quite acceptable at low speeds, the 520d does tend to get unsettled on not-so-perfect tarmac as you go faster. This affects the high speed stability of the car as well. While the 5-Series is glued to the roads at high speeds, just like any other BMW, if there is a bump or two on the road, the vehicle tends to bounce a bit over it. Insulation is fantastic though and you can barely hear the road or wind noise inside the cabin. The brakes are sharp and offer good stopping power. The BMW 5-Series is even more appealing in its facelifted form. While cosmetically there isn’t a world of a difference, it’s really the added equipment which makes this Bavarian’s case stronger. The 5-Series looks fresh, drives well and the powerplant packs in a lot of punch, even in the smaller engined 520d. The handling is sharp and although the ride quality is far from prefect, it’s quite acceptable. There is a ton of equipment on offer and the desirability factor of the BMW 5-Series really makes it a car worth considering in this segment.